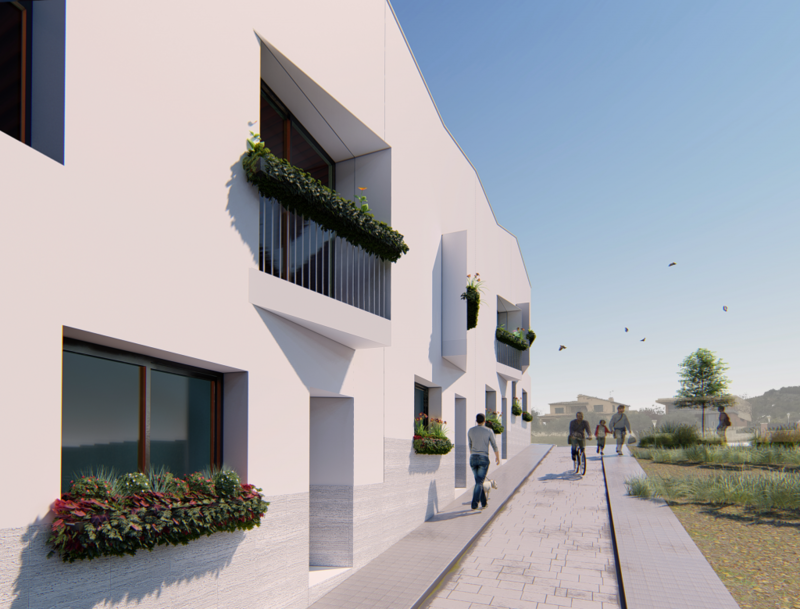 In the upper part of La Selva del Camp, Constècnia builds and will put up for sale a promotion of 4 homes in a row, perfectly communicated and a few meters from the old area of town. The houses are distributed on ground floor where is the kitchen, the living-dining room, which leads directly to the patio, a bathroom and a first floor with 3 bedrooms and a bathroom. It also has a covered parking space inside the plot. With finishes and quality materials, an experience based on comfort and harmony between different spaces. Some homes that combine the trends of modern architecture and the elegance that characterizes it, getting you to feel proud of your house. In addition, it is necessary to emphasize that these homes enjoy level A (maximum) in energy qualification, which will translate directly into both energy and economic savings in the maximum level of interior comfort of the home.